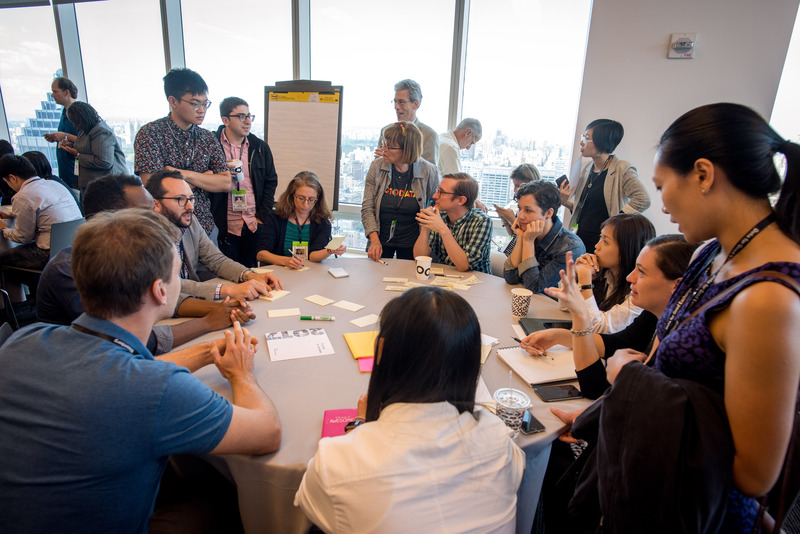 Bloomberg researchers are familiar faces at academic conferences focused on artificial intelligence and machine learning. At the Thirty-Third AAAI Conference on Artificial Intelligence (AAAI-19) held January 27-February 1, 2019 in Honolulu, Hawaii, and the co-located 9th Symposium on Educational Advances in Artificial Intelligence (EAAI-19) held January 28-29, 2019, Bloomberg’s Daniel Preoţiuc-Pietro, NLP Researcher, and Debanjan Mahata, Text Analytics Researcher, joined teams of academic researchers in presenting papers on machine learning applications. 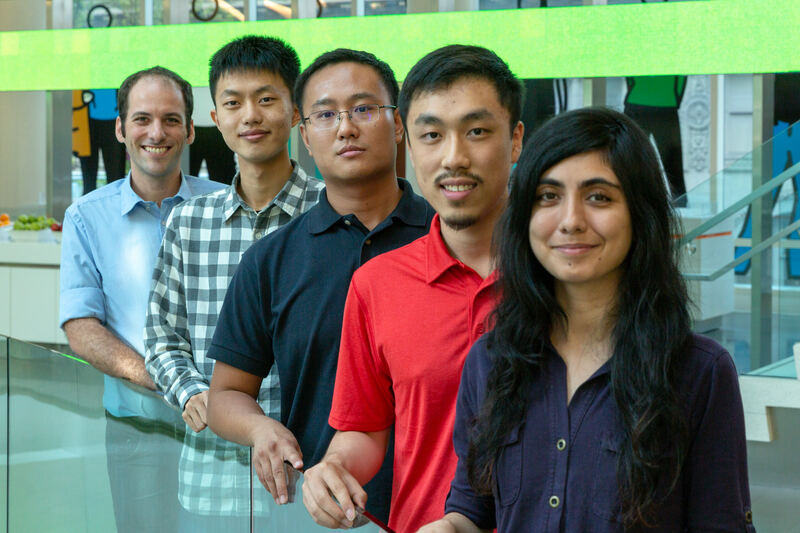 While Bloomberg regularly conducts its own core research in-house and utilizes cutting-edge technologies in its own projects, this research was conducted outside Bloomberg by a mix of university professors and undergraduate students, along with the Bloomberg researchers. Mahata participated in research in his role as an adjunct professor at Indraprastha Institute of Information Technology, Delhi (IIIT-Delhi) with Yaman Kumar, who was an undergraduate doing an internship under Assistant Professor Rajiv Ratn Shah. 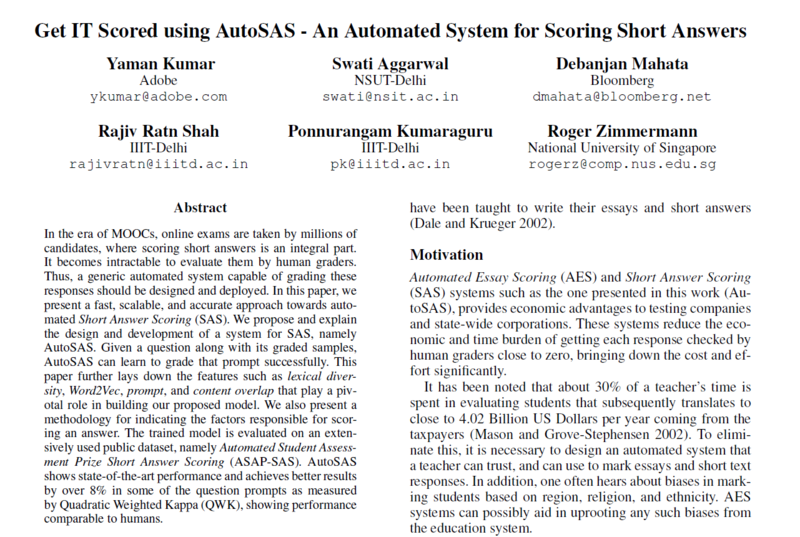 They collaborated with Swati Aggarwal, Assistant Professor at Netaji Subhas Institute of Technology, Ponnurangam Kumaraguru, associate professor at IIIT-Delhi, and Roger Zimmermann, associate professor at National University of Singapore, to publish “Get IT Scored using AutoSAS – An Automated System for Scoring Short Answers” during the special AI for Education paper track during EAAI-19 on Monday, January 28th. Preoţiuc-Pietro, who previously researched social media communication, worked together with Junyi Jessy Li, assistant professor in the Linguistics Department at The University of Texas at Austin, who previously researched specificity. 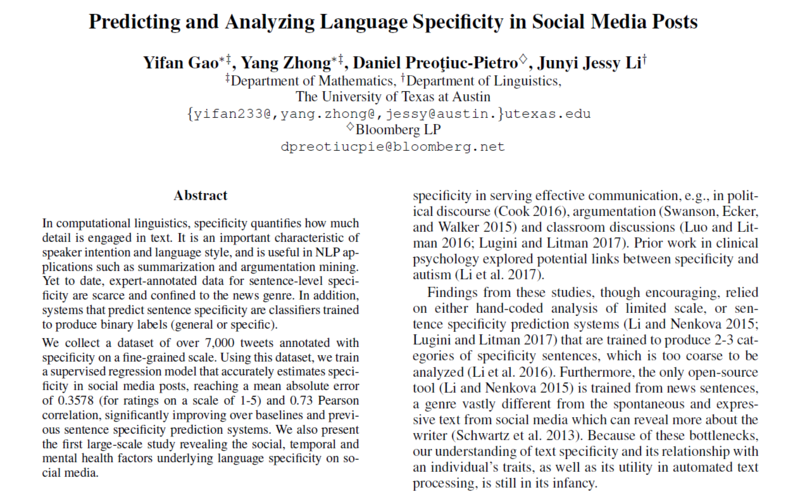 They collaborated with Yifan Gao and Yang Zong, two undergraduates at UT-Austin, to publish “Predicting and Analyzing Language Specificity in Social Media Posts.” Their poster will be presented at AAAI-19 on Wednesday evening, January 30th. Manually grading thousands of online exams with short answers can take hours, if not days. Utilizing natural language processing and decision trees to process the text can save teachers time and money. For example, British teachers spend 30% of their time evaluating students – which translates to about £3 billion (or almost $4 billion) a year. While this application is focused on grading, the algorithm developed in this research can be utilized to process text in any type of form that has short answers. By using a fundamental and basic technique, the algorithm can score each answer, while also providing an understanding of why it received that particular grade so students know in which areas they need to improve. A random forest model is a collection of easily integrated models that work together to provide a transparent solution regarding the areas that are driving the score higher, as well as those areas which require improvement. The training data for the algorithm consisted of actual tests from high school students that were publicly available and released by the Automated Student Assessment Prize (ASAP), a competition hosted on Kaggle that was sponsored by The William and Flora Hewlett Foundation. There were 10 different questions and more than 16,000 responses that were manually graded by teachers and double scored on a scale of 0 to 3 by ASAP graders. The average answer was 50 words in length, but individual responses varied from one to 300 words. The model made its prediction based on nine types of features: Word2Vec and Doc2Vec; part-of-speech (POS) tagging; weighted keywords; prompt overlap; lexical overlap; word frequency, difficulty and diversity; statistics of sentence and word length; logical operators based features; and temporal features. Of these, Word2Vec and Doc2Vec, as well as prompt overlap and weighted keywords, were the most important features in the model. Prompt overlap looks at the words that overlap from the question, as this demonstrates reading comprehension and how well the test-taker understood the question. A weighted keyword expands the vocabulary of a particular question and then searches for those particular words in the answer. These alternative techniques capture whether the answer is on topic or not. Word2Vec and Doc2Vec models are trained using a huge corpus of text documents to capture semantic relationships between words. The Word2Vec model was released by Google and trained on news articles, and the Doc2Vec model was trained using Wikipedia data. Only nouns, verbs, and adverbs, or meaningful noun phrases, are translated into a vector, or mathematical representation, while stop words like “not,” “be,” “a,” and “an,” are not processed. “The algorithms only understand numbers and math, so we need to feed them a suitable representation of text that they would understand,” said Mahata. Based on modern deep learning techniques, Word2Vec and Doc2Vec aid in representing a piece of text using a vector, whereby each vector is a meaningful representation of text. The level of detail that’s conveyed in a post regarding a concept, object or event – or specificity – helps provide context for the language and communication between two people. Users with different backgrounds and ideologies have their own unique style of communicating on the platform, and the specificity within their posts reveals information about their character and background. There are many applications where specificity can be leveraged. Within political arguments, or argumentation, specificity reveals whether someone uses specific numbers and references, generalities, or a more emotional stance. In summarization, the level of specificity dictates what background to include, if any, and whether the entire thread should be displayed with a tweet or if the tweet has the appropriate context to stand alone. 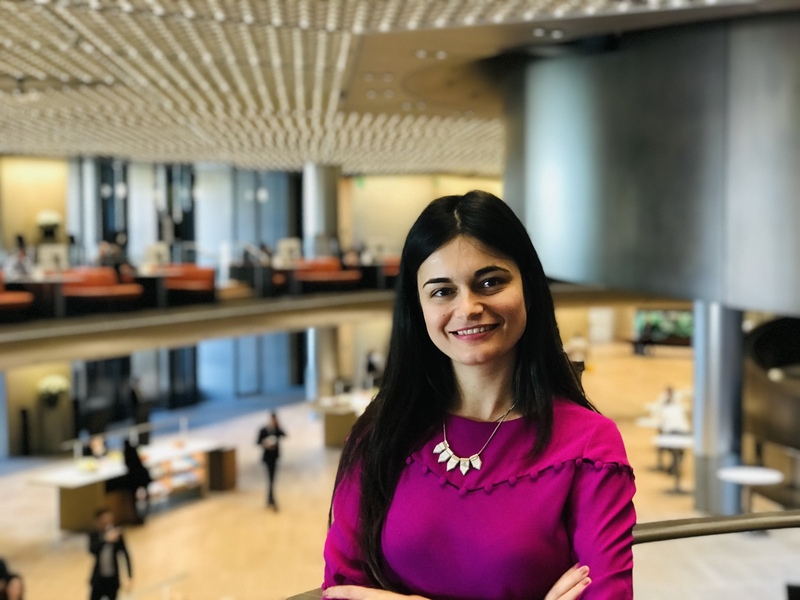 Understanding more about social media posts and users has many applications at Bloomberg, particularly because clients demand real-time information and more and more news-like content is disseminated via Twitter, so this helps them follow trends, analyze brands and more. 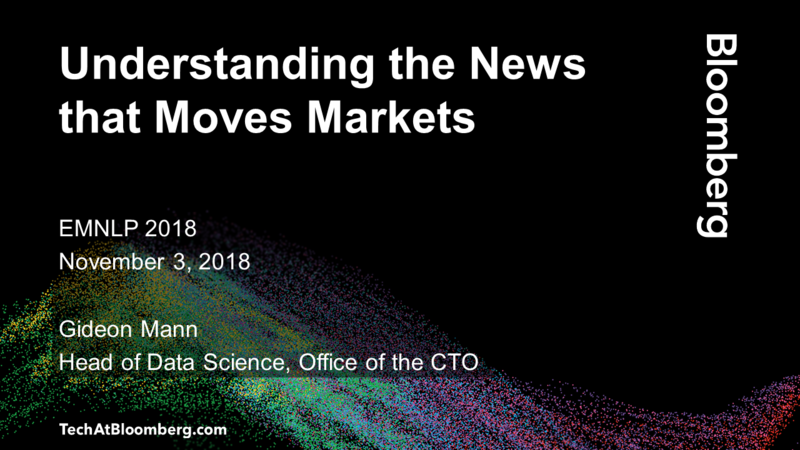 Since Bloomberg processes social media content, tracking events and identifying specific tweets is important, as is determining if any additional background is required for a given tweet. In this work, the team researched how an algorithm can predict the specificity of a social media post on a fine-grained scale. While specificity prediction was previously researched by Dr. Li on a coarser scale for news ‒ where the information tends to be more self-contained ‒ when analyzing a tweet in isolation, its social context is important because it reveals information about the person who sent it. Demographic information, such as gender, age, faith, political ideology, income, and education level, are all very important, and the keywords and language used in a tweet can help shed light on the sender. Tweets about school or homework, for example, are likely sent by someone between 14 and 18 years old. General posts that don’t reference events or actions assume the reader knows what that user is talking about. For example, younger users tend to communicate with close communities who know everything about that person. Contrast that with older users who might tweet information as a way to also compensate for the fact that their followers may not know them personally, which leads them to assume their followers may not have the entire context. The team analyzed training data comprised of about 7,000 tweets from 4,000 users who shared demographic information. Messages were annotated based on their specificity, or how general the tweet was, and rankings were crowdsourced via Amazon Mechanical Turk. A regular supervised algorithm was then used to try to predict the score. Text length is the simplest attribute included in the model that’s a key determinant of specificity. Percentages of capital letters and part-of-speech (POS) tags – like nouns, proper nouns, determiners, pronouns, adjectives, prepositions, and punctuation – were also included in surface and lexical features. These attributes were the most significant driver of the score and had the highest correlation of 0.67. While emoji usage signaled a more subjective post and the use of adjectives may indicate less specificity, numbers and capitalization patterns that identify proper names were a very good proxy for specificity. The algorithm also utilized distributional word representation that captures a tweet’s overall context, social media content that looks for prominent sentence features in posts, and emotion features that measure a tweet’s subjectivity.